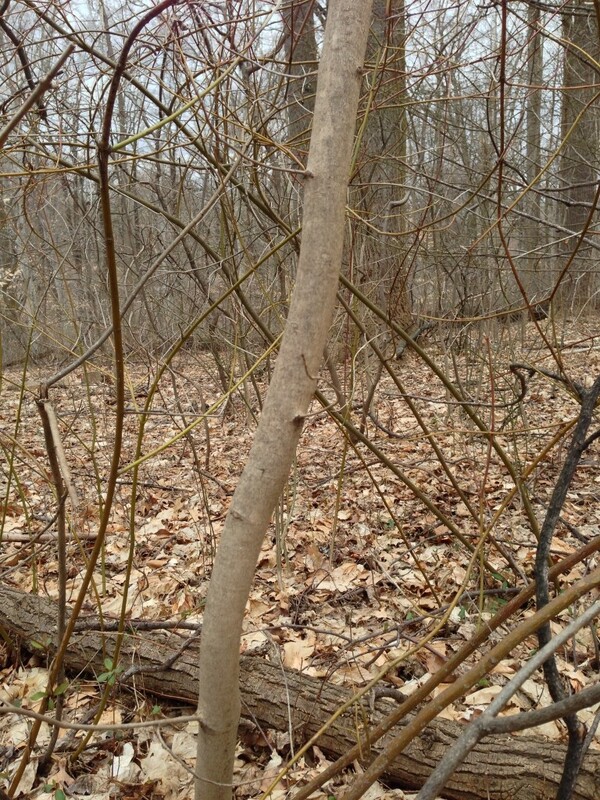 Sugar maple, bark and trunk:young specimen. (Acer saccharum) the smooth light gray bark of this young tree is similar to the appearance of the young Invasive Norway Maple, which this specimen is growing very close to. In the winter, observe the dark, smaller and sharp buds of the Sugar maple and the fatter, reddish, less pointy buds of the Norway Maple. In the summer, the broken leaf stem of the Norway Maple exudes a white milky liquid, a positive indicator of the species. Photographed in Morris Park Philadelphia, March 1st, 2013.